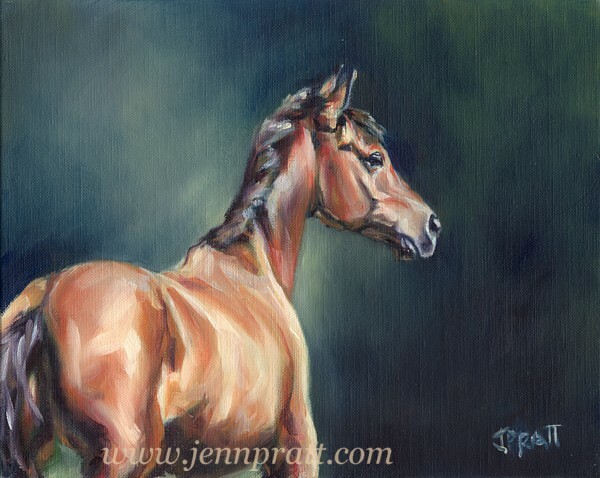 A Photogenic Pony and Triadic Colour Scheme | Jennifer Pratt Equine Artist. Late this summer I had a farm-call to London, Ontario to meet a wonderful woman named Karen who happened to stumble upon my website. On top of purchasing my Analogous Eye Study, she commissioned two portraits. One of her horse Samson, the other of her daughter’s pony Toby. Both to be completed ‘Alla Prima’ in a loose, lively colour palette. I of course was up for the creative challenge. Toby the Pony, had a fantastic photoshoot !! So much so, that I ended up with more than one painting that I was inspired to paint. 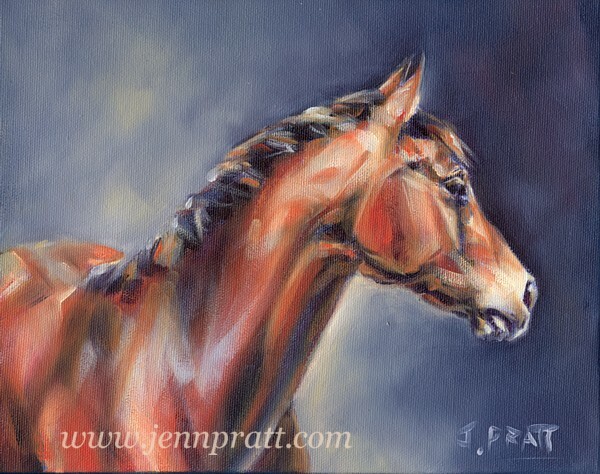 I decided to produce four paintings, and offer my client first choice of the four. As most of my readers know, I’ve been exploring colour…how far I can push a colour range? What colours makes other colours zing? 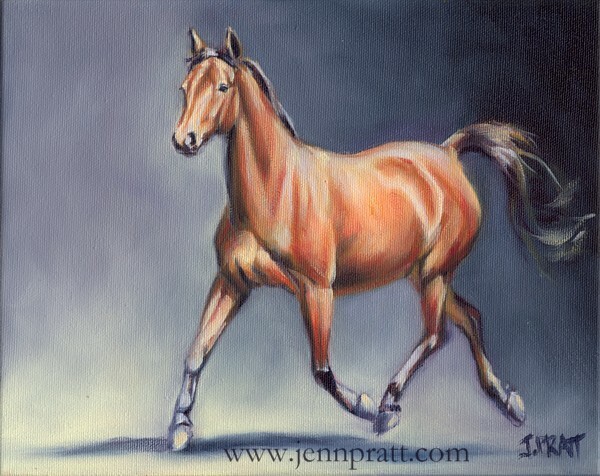 what schemes work for certain colours of horses?..the list goes on and the possibilities really are endless. I chose to make this an opportunity to focus on one scheme and one palette. With those four paintings, I could broaden my knowledge within this specific range of colour. I chose a triadic colour scheme, using Cadmium Yellow Light, Phthalo Blue, and Alizarin Crimson + Titanium White. I guess you could also call this a limited palette, because basically it consists of the three primary colours ~ red, yellow and blue. Into the first study, I was quickly reminded of the tinting strength of Phthalo Blue! Alizarin is strong too, but not nearly the tint power that Phthalo Blue delivers. As a result, I did not end up completing these studies in one sitting, but left most of my blues and violets to dry before attacking the lighter values. thanks Lisa and Sally!! It’s been an interesting series to explore. Jenn, wow, all so lovely but I think my most favorite one is the head study with the first one a close second. As for the background colors my favorite one would be the number two portrait, looks a blue/green on my monitor which I favor over blues. So beautiful, how would you pick one….please let us know which the owner picks. If I were the owner and had the money…I would get all of them!!! the client picked the first study – but yes, it was a hard choice for them. 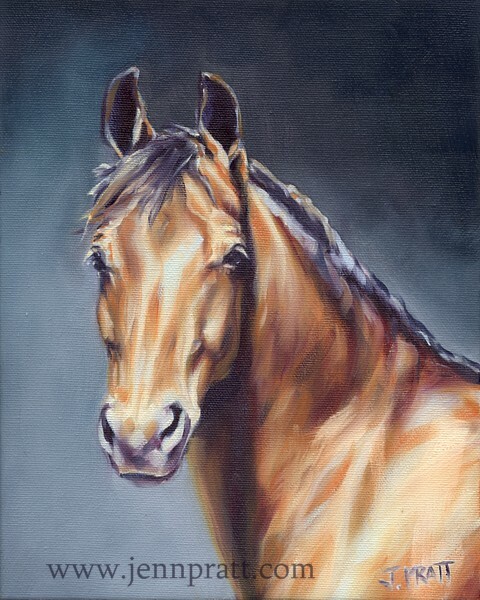 The other two – Study #2 and #3 the head study – sold a couple days after to another client. The trot study went to Dutch Auction.